ALEKO | PRAGUE Style Swing Dual Iron Driveway Gates 18' X 6'-3" FREE SHIPPING! 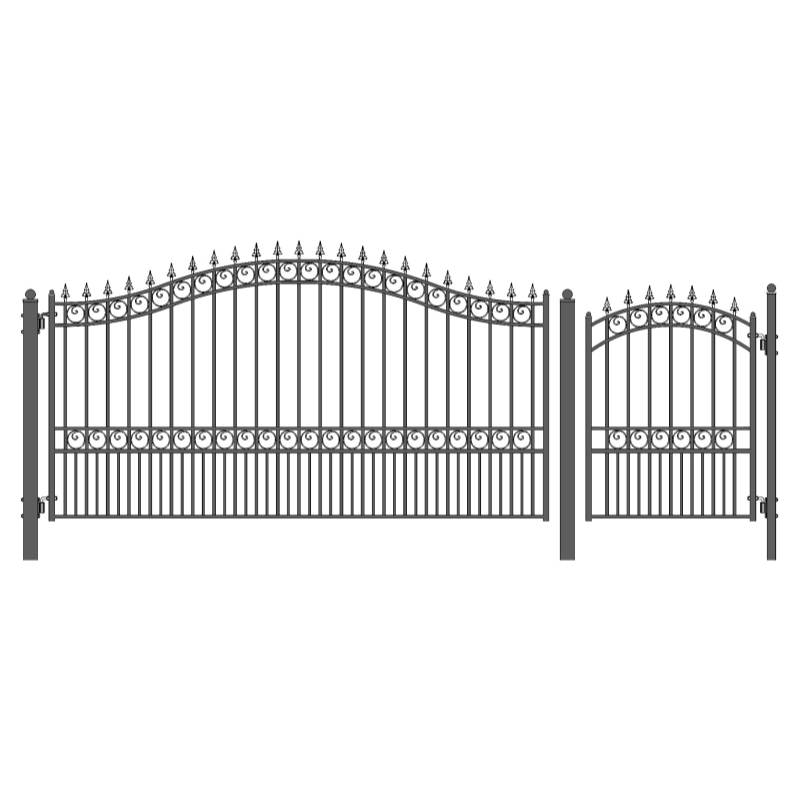 ALEKO® PRAGUE Style Swing Dual Steel Driveway Gates 18' X 6 1/4' FREE SHIPPING! All of our gates capture the classic elegance of wrought iron gate designs and offer affordable prices. Please call us (253) 872-6877 if you have any questions! ALEKO® MUNICH Style Swing Dual Steel Driveway Gates 14' X 6 1/4' FREE SHIPPING! ALEKO® VENICE Style Swing Dual Steel Driveway Gates 12' X 6 1/4' FREE SHIPPING!